Measuring the ROI of social media marketing is critical to improving your social strategy. Complete and accurate measurement of the impact of social media marketing is a challenge for many brands. No one tactic or tool allows you to comprehensively measure the ROI of social media marketing. 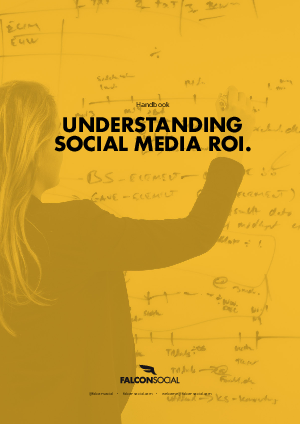 But by breaking down the goals of your social strategy, establishing appropriate metrics, and setting up the right tools and processes, you can get a handle on Social ROI for your brand. This handbook offers effective strategies for measuring the impact and return on investment for all your social media marketing activities.